We’re excited to announce another powerful new enterprise-class Avaza feature. 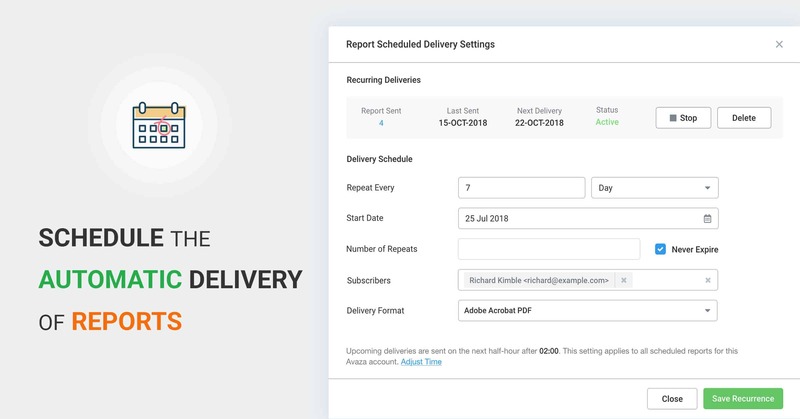 You can now schedule the generation and automatic delivery of your Saved Reports. 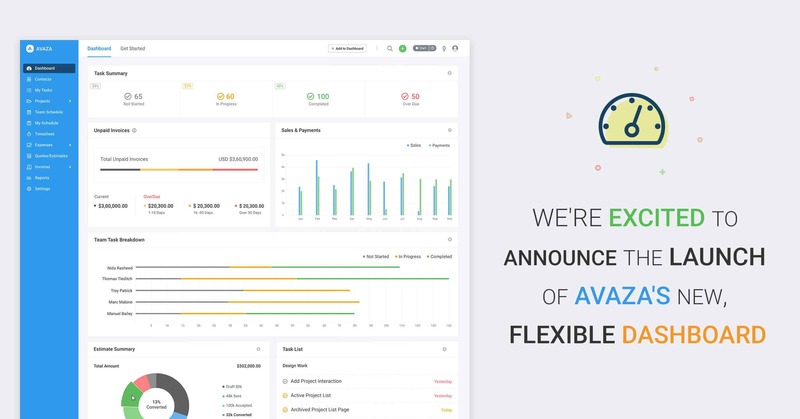 We’re excited to announce the launch of Avaza’s new, flexible Dashboard. Just launched! 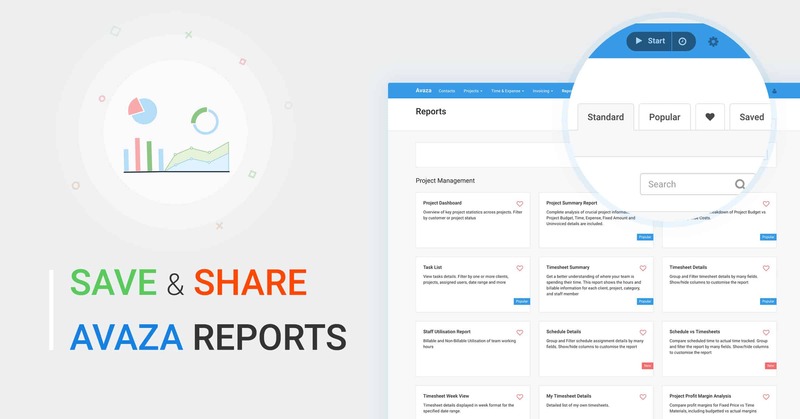 Our Reports dashboard has a new look & feel, with options to search, save & share reports with your team members, view popular reports and much more!